Alright, we’ve been through the other major types of real estate investing: House flipping, renting, and wholesaling. When you hear “real estate investing” you probably think about house flipping or renting. You wouldn’t be alone in that. Because of popular programs on HGTV, house flipping is what most people think of. Don’t just limit your business to houses! 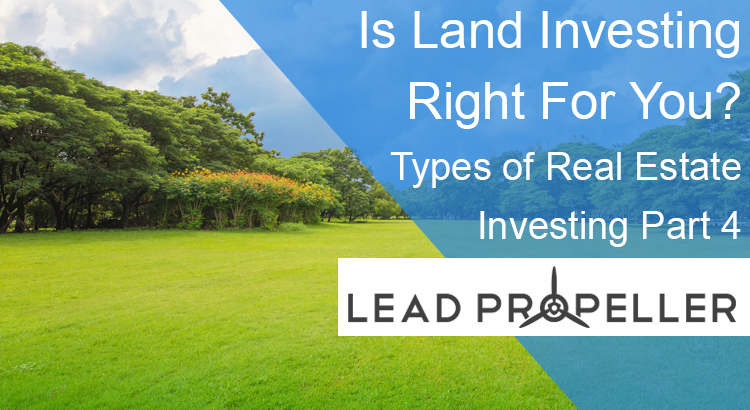 See what land investing is and if it’s the right fit for your real estate investing business! We’re going to go over successful strategies for land investing, and the pros and cons involved if you decide to go into land investing to diversity your portfolio. Let’s get started!